Catfish are not live bearers. They lay their eggs in cavities. Look for places with lots of nooks and crannies in shallow water, and you'll find spawning catfish. That old Christmas tree? Toss it in your pond and you have an instant catfish nursery. Mature catfish can lay 4000 to 100,000 eggs, and breeding males can fertilize as many as nine spawns a season if the eggs are removed from the spawn site each time. Catfish first spawn as early as two years old, and as late as six, depending on their weight, the availability of protected spawn sites, and water temperature. Farm raised catfish spawn at younger ages, because they reach higher weights much faster. 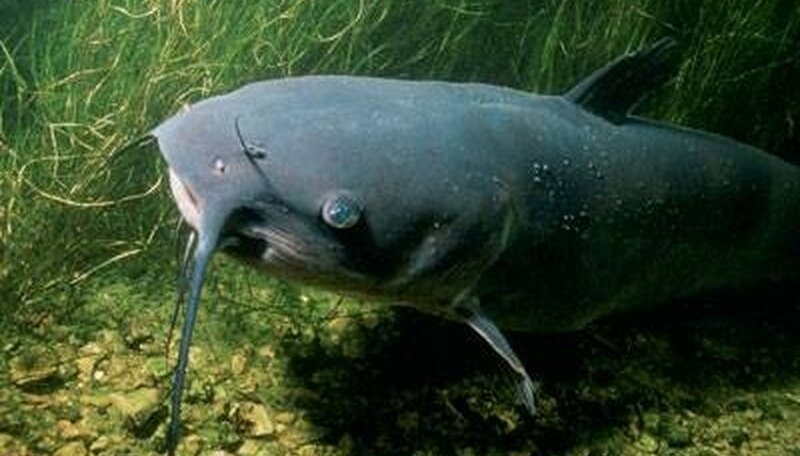 Wild catfish, especially if they live in a stressed watershed, will be older when they finally spawn. 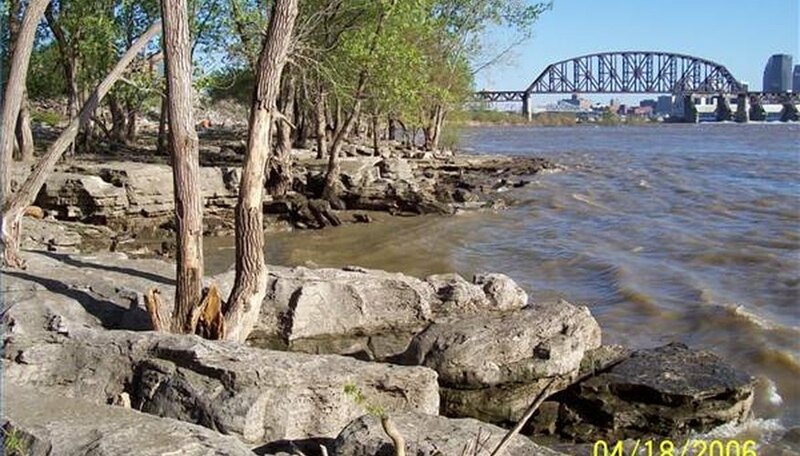 Falls of the Ohio, in Clarksville, Indiana, across the river from Louisville, Kentucky, is an ideal spawning ground for catfish. The lowered water levels and heavily scoured and cracked rock faces of the 386 million year old Devonian fossil beds provide innumerable hideouts for catfish fingerlings. Falls of the Ohio can be reached from exit 0 on I-65. Senecaville Lake in Guernsey County, Ohio is another great spot for catfish anglers as well as striped bass enthusiasts. Built in 1937 as part of a series of flood control measures, Senecaville Lake's large rock sides with big cavities are ideal for catfish spawning. Senecaville Lake is on S.R 574, off S.R. 313. To get to the lake from I-77, take Exit 37 which is the Senecaville, Ohio/Senecaville Lake State Route 313 Exit. Take State Route 313 east to State Route 574. Turn Right/South on State Route 574 until you cross Senecaville Lake Dam. Female catfish may not take your bait at all while spawning, but you can aggravate a spawning male into striking by making him think that your bait is a threat to the spawn site. Male catfish are aggressive when protecting a nest. Drag your bait as close to the nest site as possible, dropping it into the cavity and yanking it back out if possible. Do this a few times and you will get results. According to James Owen at National Geographic News, the largest freshwater fish ever recorded was a 646 pound Mekong Giant Catfish, captured in Chiang Khong,Thailand in May 2008. The fish was nine feet long and the size of a grizzly bear. Catfish as large as 90 to 100 pounds have been caught in the United States near Pennsylvania. More typical, though, are catfish between 2 and 20 pounds. Larger catfish are becoming more rare, and some species, such as the Mekong Giant, are threatened with extinction due to overfishing. Even if sport fish get away, the hooks and tackle they take with them can fester and eventually result in the loss of a mature breeding fish. Sport fishermen everywhere know the importance of preserving breeding stock. It is the occasional, weekend fisherman who needs to be reminded of the importance of removing hooks from fish that are caught and released, and of using the correct test strength fishing line for their intended catch. 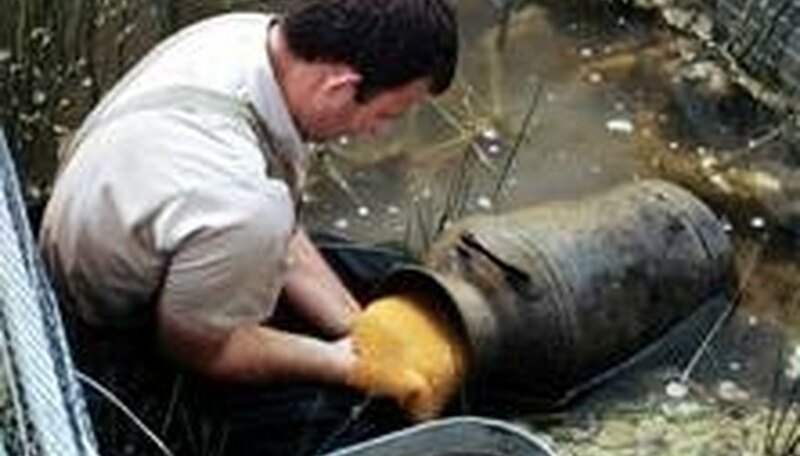 Catfish spawn can be collected and raised in a fish hatchery. 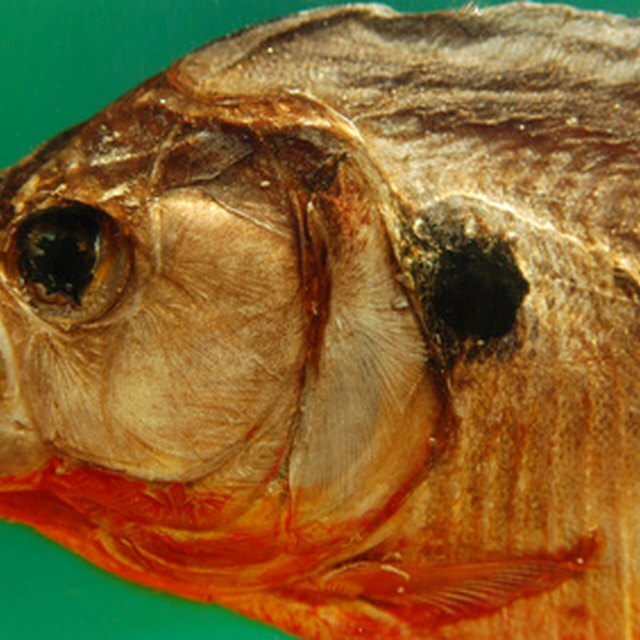 Hatchlings are raised until mature, then released to stock public and private ponds for sport fisherman, or they can be sent to processing plants to be dressed for the table or frozen. Mississippi, Alabama and Arkansas are the top three producers of farm-raised catfish in the United States. Mississippi produces 70 percent of the industry's fingerlings, the four to six inch fish used to stock ponds for aquaculture. Smith, Jane. "Do Catfish Lay Eggs?" Sciencing, https://sciencing.com/do-catfish-lay-eggs-4672956.html. 24 April 2017.